On Monday (9/28), 20th Century Fox is filming on Congress St. for a movie with Tom Cruise and Cameron Diaaz called "Untitled Wichita Project". 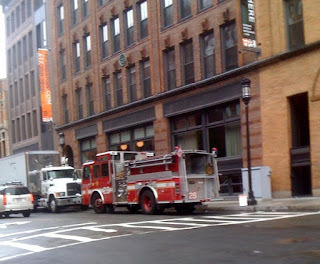 The shoot will take place on Congress St. around the Fire Museum and also inside the museum itself. It will start at 6 AM and continue until as late as 9 PM. At times, until 3 PM, traffic will be stopped intermittently. If you have issues with noise or other problems, contact the location manager, Jonathan Persky: 310.923.4557. BRA Mtg for: Dirigo Spice, 141 West 2nd St.
Mayoral Election Tuesday - Vote!